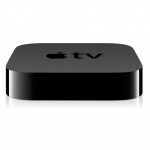 Apple has released a new, smaller Apple TV box geared toward streaming movies and TV shows. 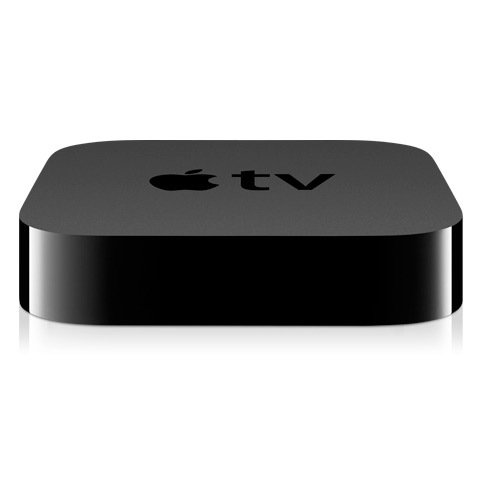 The resolution tops out at 720p (unfortunately) but highlights include Netflix streaming, 802.11n Wi-Fi, H.264 and MPEG-4 video support, and a footprint that is 80-percent smaller than the last Apple TV box. Titles can be rented through iTunes or accessed through Netflix memberships. An HD movie (at 1280 x 720 resolution) will cost $4.99 for new releases and $3.99 for other titles. TV shows in high-definition (at 1280 x 720 resolution) will cost $0.99. Dolby Digital 5.1 surround sound audio is available in some titles. 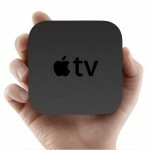 The size of the new Apple TV is 3.9″ x 3.9″ and is powered by an Apple A4 chip processor. 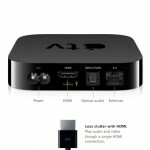 Ports include HDMI, Optical audio, 10/100BASE-T Ethernet, Built-in IR receiver and Micro-USB (for service and support). Built in 802.11n Wi-Fi is a/b/g compatible at 2.4GHz and 5GHz. H.264 video up to 720p, 30 frames per second. And, MPEG-4 video, up to 2.5 Mbps, 640 by 480 pixels at 30 frames per second.